Henrietta Spencer-Churchill, a leading specialist in classic English design, explores the 'age of elegance'. She tours a variety of Georgian houses through our the British Isles to give a fascinating overview of the period (1700 to 1830). Looking first at the styles and fashions of the time, we are given a real sense of Jane Austen's England - the refined elegance of the furniture, the classic lines of the architecture and the rolling slopes of Capability Brown's landscapes. Gradually we move in and take a closer look at the house in its setting, the landscaped garden and exterior details - covering town and country buildings, cottages and grand estates, courtyards and lodges, gazebos and outhouses. Next we move inside to examine the interior of the home and look at the rooms and decor in fine detail, from hallway to living room, passageway to bootroom and staircase to bedroom. 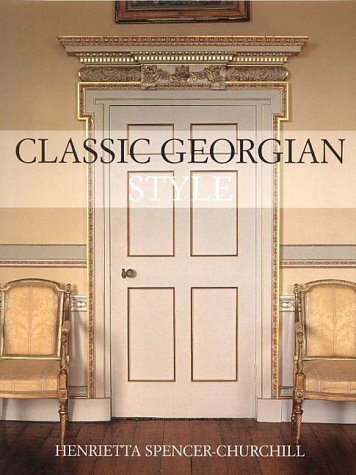 A final section provides an artist's palette of paint colours used, to enable all enthusiasts to emulate classic Georgian style, and thumbnail biographies and style guides to the influential architects, cabinetmakers and craftsmen of the period such as Robert Adam and George Hepplewhite. Illustrated throughout with specially commissioned colour photographs and original Georgian architecture drawings and plans, Henrietta Spencer-Churchill's knowledge and love of this period is evident. 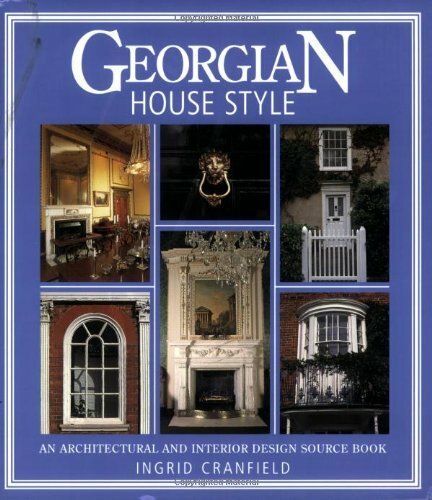 This source book for recreating the style and decor of the Georgian period, covers all aspects of internal and external plan and design, including gardens. It also provides information on how to restore, replace and care for period features. If you have ever been enchanted by the houses of the Georgian period, and particularly if you are lucky enough to live in one, this book should be of interest. It sets the buildings in their historical context, and shows how and why each aspect of a house came to be as it is. Steven Parissien describes the development of the Georgian style in Britain and its colonies from its introduction in the early 18th century through to the mid-19th century. He devotes a chapter to each element of the Georgian house, including roofs, brickwork and stonework, doors and windows, staircases and fireplaces, mouldings and plasterwork. Throughout the book, he stresses the need for today's owners to understand the ideas and techniques and materials employed by those who built their homes.